Rabbi Stacy Friedman with the healing scarf that was given to her during her battle with breast cancer & which she passed on to a WRS Sister undergoing a similar struggle. The Women of Rodef Shalom Sisterhood is proud to be a part of the Congregation Rodef Sholom community. Rodef Sholom is a kehilla kedosha, a sacred community, that welcomes Jewish individuals and families, and those exploring Judaism, with open arms and open minds. We are linked by our past and actively building our future. We are multi-generational and multicultural. Whether you are single, married, a member of the LGBT community, a Jew by birth or by choice, or in an interfaith family, Congregation Rodef Sholom (CRS) welcomes you! Our aim is to build Jewish lives that are authentic. In doing so, we envision individuals who are enriched and a community that is transformed. The Women of Rodef Sholom is proud to be an affiliated Sisterhood of the Women of Reform Judaism (WRJ), a leader in promoting the work of Tikkun Olam, repairing the world. Sisterhoods, or women's groups, are groups of active and engaged women who belong to a Reform Jewish congregation and work together toward a common cause. For more than 100 years, WRJ has been pionerring social action in the Reform Movement and the Jewish community at large by strengthening the voice of women worldwide and empowering us to create caring communities. To fulfill this vision, WRJ engages a global network of hundreds of sisterhoods and women’ groups. Stronger together, we ensure that these women make a difference in the world. WRJ is the organizational umbrella for hundreds of affiliated sisterhoods, with tens of thousands of members across North America, Israel, and around the globe. The North American affiliates are grouped into eight geographic regions called Districts, which serve as liaisons between WRJ and the affiliated sisterhoods. Women of Rodef Sholom is part of the Pacific District, the largest geographical district of the WRJ. 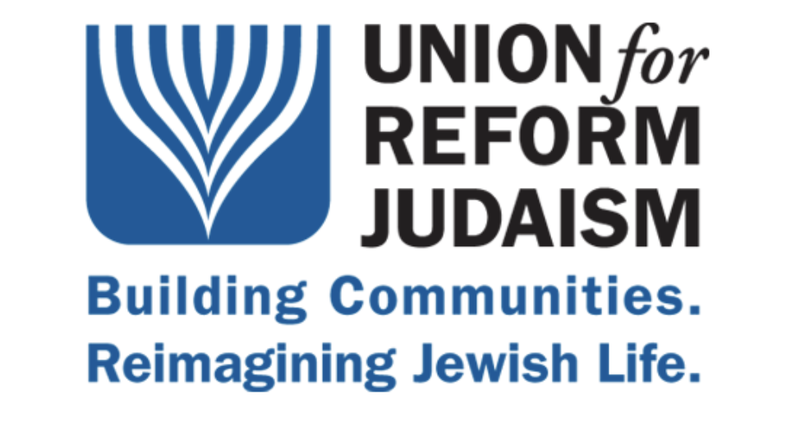 As an integral part of the Reform Movement, WRJ works closely with the Union of Reform Judaism and its affiliates to strengthen Reform Jewish life. Congregation Rodef Sholom is a member of the Union for Reform Judaism (URJ). The URJ strengthens communities that transform the way people connect to Jewish life, building a more whole, just, and compassionate world. The URJ builds community at every level—from the way they collaborate with congregations, organizations, and individuals to how they make connections across North America to advance contemporary and inclusive Jewish life. Providing vision and voice to transform the way people connect to Judaism, the URJ helps congregations stay adept and agile, motivate more young Jews to embrace Jewish living, agitate for a more progressive society, and foster meaningful connections to Israel.